Uglyworld #557 - Babo's Favourite Burger (147-365), originally uploaded by www.bazpics.com. 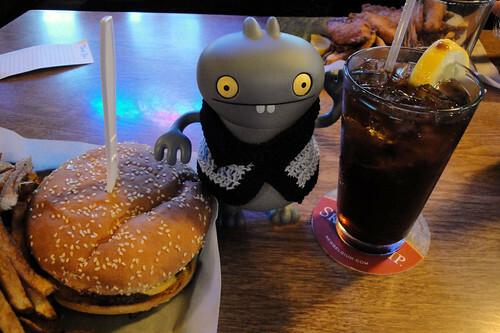 Now that we've been out in Oregon for a week and a half Babo decided that he wanted to share his favourite burger with everyone. He's visited the Helvetia Tavern twice now and can't get enough of their Jumbo Cheese Burger, so tonight he asked if I would take a photo of him with his favourite burger.